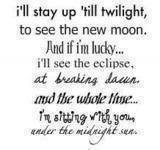 Twilight Poem. . Images in the Twilight Series club tagged: twilight. to see the new moon.